The Chrysler Neon is a car that can play two roles and depending on the part of the world where it's sold, it can be targeted to separate markets. In the US, it is seen very much as a compact vehicle – rather like a Ford Focus or a VW Polo but it is bigger than those cars by some margin. As a result, the UK market places it in the family saloon class where it competes very well against the Vectra or the Mondeo. The very first Chrysler Neon was launched from its US production line in 1994 and it quickly began to spread through Europe until it reached the UK in 1996. The addition of right hand drive models was originally intended to forge a breakthrough in Japan but its main achievement was to make inroads into the UK. Initially, the LE and the LX were the only versions to be sold in Great Britain although they were joined by greater luxury with the SLX in 1997. In addition, there were two engine options with a standard 1.8 litre and an enhanced 2.0 litre model. Further variants followed including a sumptuous used Neon GLX with leather upholstery and the car began to sell well in the UK as an alternative to British made cars in the same class. After the rebadging in the US under the Dodge name, production of the Chrysler Neon finally came to an end in 2005 and the make was succeeded by the less popular Dodge Dart. The additional features are impressive, even on the basic LE which comes equipped with driver and passenger airbags, electric windows and mirrors and remote central locking. Upgrading your choice of Chrysler Neon will naturally bring you much better features with the SLX offering front fog lamps, alloy wheels and an impressive speaker system. At the top end of the scale, the focus is on comfort and luxury with the GLX and LX providing a full leather interior and wood trim. With production stretching back to 1994, prices can fluctuate greatly and at the lower end, a 1994 base LE could cost under £1,000. 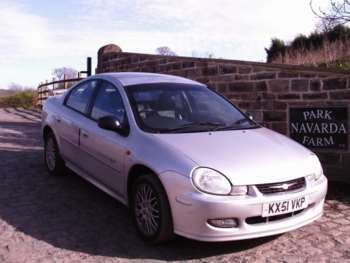 Typically, £1200 would secure a late 1990's LX and the prices can exceed £4,000 for a much newer, low mileage version. 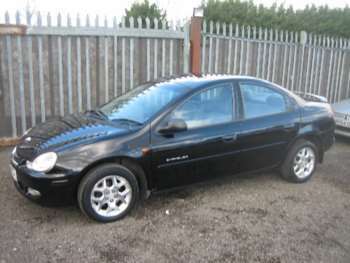 Mechanically the used Chrysler Neon is a sound car with no common faults but it's a good idea to check the electrics as these can be expensive to replace. In some cases, the trim and upholstery can easily become worn so be sure to pay attention to this prior to purchase. 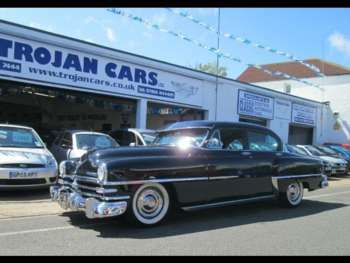 In keeping with many Chryslers, spares are easy to come by but they can be a little expensive at times. As an example, a complete exhaust system may cost £500 depending on which version you own while a set of brake pads may set you back between £60 and £70. The speed and performance of the second hand Chrysler Neon may surprise you as it can achieve 0-60 in an impressive 8.8 seconds. From there, the top speed is 121mph but handling isn't its strong point. Remember, it's built for long, straight American roads but as a fast cruiser, there are few better. 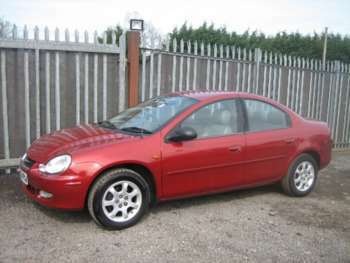 Got a specific Chrysler Neon model in mind?